There are many drug charges in North Carolina. Some involve charges simply involve the possession of drugs. Other charges include the sale, delivery, or the manufacture of drugs. While these charges make sense to the average person, drug trafficking laws can be confusing and misunderstood. They also tend to have the most serious consequences of any drug charges in North Carolina. Drug trafficking violations and penalties are addressed in NCGS § 90-95. Drug trafficking laws are intended to prohibit the large scale possession, transportation or distribution of controlled substances (drugs). Because of this, whether a drug offense qualifies as drug trafficking or not is typically based on the amount of drugs alleged to be possessed, transported, delivered or sold. 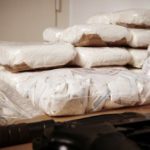 Hence, a person can be charged with trafficking when it is determined that a very large amount of drugs is at issue relative to the drug in question. Drug trafficking also differs from other drug charges in North Carolina because a trafficking conviction requires a mandatory minimum sentence of imprisonment (required jail time). Drug trafficking is not sentenced using the general North Carolina sentencing guidelines; instead, a person convicted of trafficking must be sentenced to an active prison term and pay mandatory fine, regardless of his or her prior criminal record. Another important difference is more than one conviction of drug trafficking must be served consecutively. Meaning, all sentences will be served back to back. The only exception to serving the mandatory active sentence associated with drug trafficking is if a judge makes a legal finding that the defendant provided substantial assistance to the state. Thus, providing assistance to the state could be beneficial. Substantial assistance means reliable information leading to the identification, arrest or conviction of any accessories, accomplices or co-conspirators. Finally, the judge sentencing a defendant for drug trafficking can reduce the trafficking fine if the defendant gave the state substantial assistance. Additionally, the judge can also impose a lesser prison sentence or the judge could even place the defendant on probation for the trafficking charge. So, if you have been changed with a drug trafficking crime in North Carolina, it is a good idea to contact an attorney. Contact us today.